6-18-02 – Garden writers often note the goal of developing the inner artist; I say develop the inner snoot. It’s quicker, and twice the fun. Attaining a bit of snobbishness as one matures as a gardener is an inevitable and good thing. In truth, I’ve found that having strong opinions about the color, form, and growing requirements of plants – and voicing them freely – is a trait common to the better gardeners I know. Ah, there it was, authentic, sweet, horticultural snobbishness, delivered with the proper accent, no less. I took to liking her immediately. How could I not? After all, snobbery in the garden comes ordained by the highest order of gardeners our world has ever known: the English. The Gerbera Daisy – how ridiculous is that? It was they who centuries ago decreed the pecking order for bloom color. White is on top, heavenly, honest, and pure; then blue, the color of royalty (“blueblood”). Pink follows, so warm and easy on the eye; next comes yellow, the color of the sun that feeds the earth. After yellow, the English scale dips down decidedly to the lower class: red (a petulant nuisance, not to mention the color of a whore’s mouth), then orange (in a word, absurd), finally arriving at that scurvy dog, magenta (the color of many common weeds that besmirch the English countryside). This antiquated hierarchy of hue may be ignored if one so chooses. Yet the longer I garden, the more my experiments with color prove its validity. There once was a tenet of Renegade Gardening that stated one should ignore these rules for color; I was in error, and the tenet has been removed. You see, the English were on to something, and that something holds sway today. White flowers do possess a unique, heavenly beauty, harmonizing yet commanding attention and respect wherever they are placed. If a scan of your flower garden reveals a muddled, blurry mess, introduce white to the picture. Everything will slow down, and you will see – and feel – an elevated refinement. attractive without being haughty. Yellow is blue’s perfect foil, and yellow flowers are required if the garden is to attest that you can handle a broad pallet. Sliding down the snoot scale next comes red, and sure enough, here we encounter the first color willfully screwing up the proceedings. Unless dealing with a giant, red climbing rose, another matter entirely, red works best as subservient accent. As for orange, well, my English lady–friend said it all. And magenta? Red on a bender. Healthy snobbery serves equally well when the topic is a plant’s form and foliage. Last year I was arguing the pros and cons of the newest “it” annual, the gerbera daisy, with a dear and feisty neighbor. She loves them, and finds their large, daisy–like blooms delightful, while I prefer annuals that bear some mild correlation to the home planet of the perennials with which they are combined. Gerberas simply can’t get comfortable in the garden. Their ridiculously large, plastic blooms float like spinning pie plates atop too–long, scandalously erect stems that vault from flopping waffles of the saddest, ugliest foliage known to botany. A bed of them looks like sunflowers tripping in a field of Boston lettuce. I cannot conjure up a single spot in my garden where I could plant these South African Frankensteins and have them look as if they even remotely belonged. 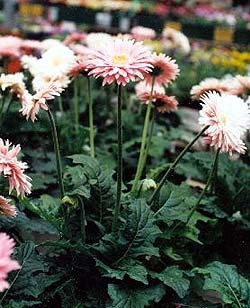 Of course, if you love gerbera daisies, the renegade thing to do is to grow plenty of the little darlings, and to hell with me. Don’t let it affect you one whit that I find gerbera daisies terrifying, unnatural, obnoxious, obese, garish, and grotesque. I’m not even sure they’re plants; every time I pass by the nursery tables on which they collude I don’t know which I expect more, to be sprayed with water, as from a clown’s flower, or to hear the tallest of the bunch utter, “Feed me!” I’m certain a gerbera daisy is what the devil wears in his lapel when he comes to call. There, now I’m warming up; feel the snoot, be the snoot! 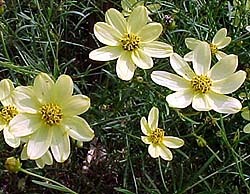 Coreopsis ‘Moonbeam’ – you call that a flower? Do what everyone else does, witness its nebbish invasiveness for five years, then rip it all out. Tall phlox? At best a cheerleader’s pom-pom in bloom; the real trick is hiding utterly vacuous foliage for the other five months. Daylilies? Lovely, if you cherish great swags of nugatory foliage from a plant that will grow in an asphalt parking lot anywhere someone’s emptied an ashtray. You see? The best thing about horticultural snobbishness is that it need not require any great knowledge, only resolute opinion. So get out there this summer and start developing your inner snoot. It not only leads to a more beautiful garden, it makes you feel superior, but in a good way.